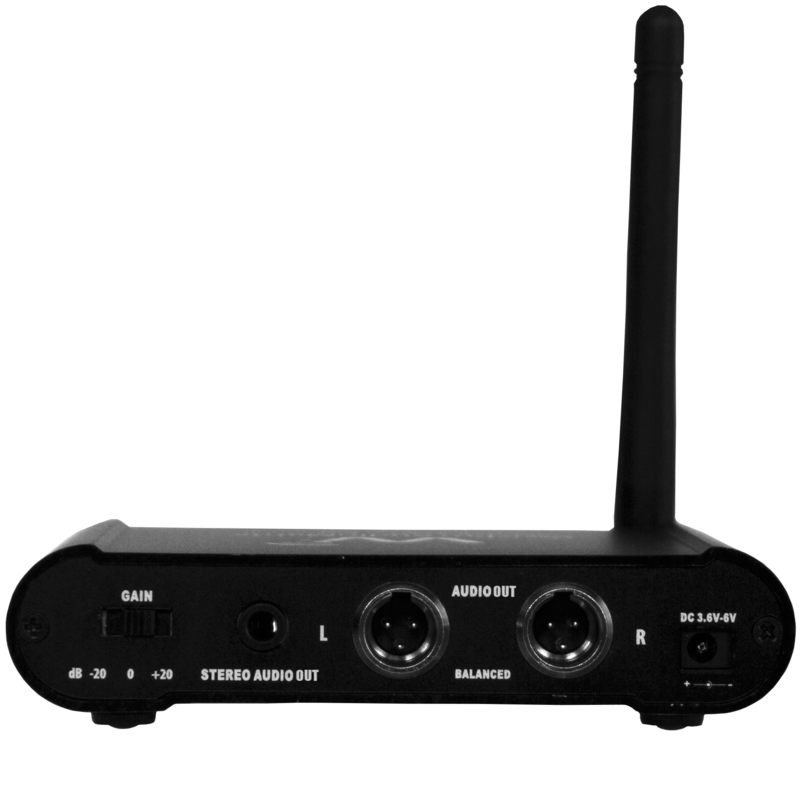 The Smallest, Most Advanced, Battery-Powered 2.4GHz Stereo Digital Multicast Wireless Receiver for Active Loud Speakers, PA Mixers and DJ Gear! Elegant simplicity, superior sound, professional dependability! 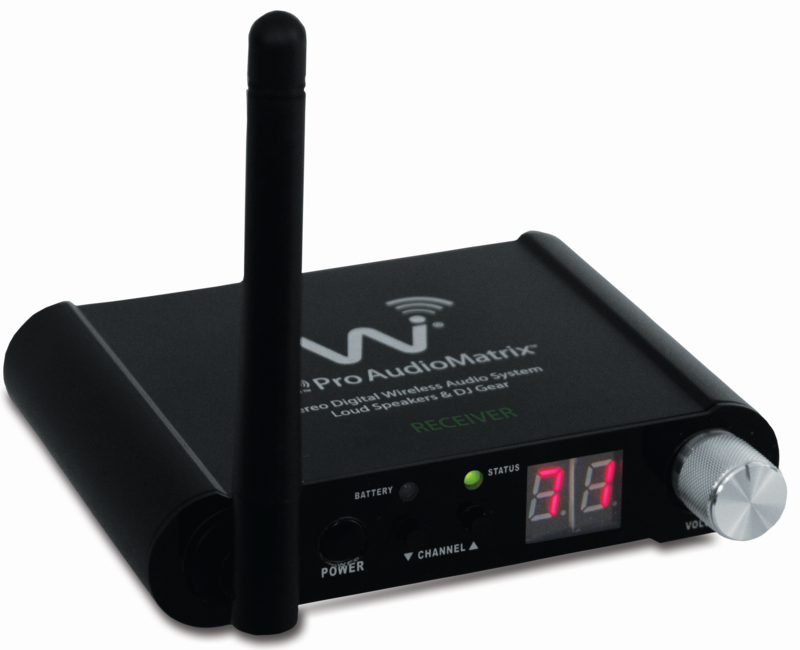 The Wi Pro AudioMatrix R1 is a system expansion add on receiver for the Wi Pro AudioMatrix molde WI-AMP50. Designed to enable users to create a digital wireless audio distribution matrix from one transmitter to up to 50 stereo digital wireless receivers without the need to route cables to speakers or run cables from one room to another. 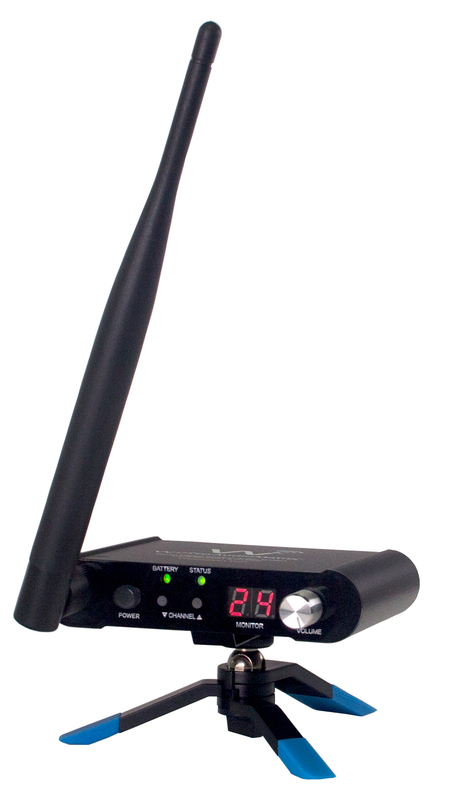 Designed to look, sound and configure like no other pro audio wireless system, This rugged, elegant, plug-and-play system features Wi Digital’s Seek-and-Link algorithms that automoatically searchs for the transmitter audio stream acquisition, pair and Link without the need for manual pairing of transmitters and receivers The Wi Pro AudioMatrix R1 receivre is engineered with super strong aluminum chassies and universal mounting metal belt clip with 1/4”-20 screw mount that can be securely or permanently attached to the speakers and mixring gear including stands, tripods and bipods for elevated and unobstructed line of sight setups. The Wi Pro AudioMatrix R1 power source’s flexible design boasts an internal rechargeable battery for 6~8 hours of battery operation. Add the standard USB AA battery adapter for up to 20 hours of extended use. No need to power down the system to charge or replace the batteries. There’s also an AC power adapter for continuous operation. You can even use USB bus power to charge and operate your Wi Pro AudioMatrix power. Enjoy true freedom from power concerns.